The Tokyo Game Show 2018 is nearly upon us, bringing fresh news and insider looks at some of the year's biggest games straight from the heart of Japan. Though the exposition itself is just a few days out, there's still time to check up on some of the must-know details, including the critical dates and times and some of the can't-miss events from PlayStation, Sega, Capcom, and more. Keep reading to learn about all the biggest highlights and expected reveals. When is the Tokyo Game Show 2018? 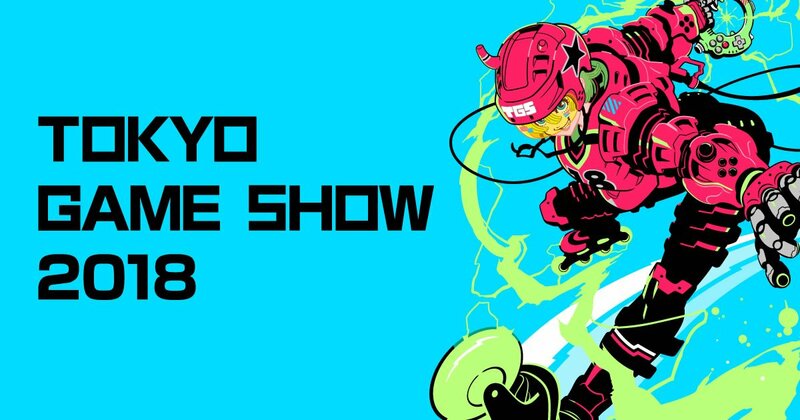 This year's Tokyo Game Show 2018 kicks off on Thursday, September 20, and is slated to run all the way through Sunday, September 23. It'll be hosted at the Makuhari Messe International Convention Complex, located right near the heart of central Tokyo. Though the event is formally slated to run across four days, the show will only be open to the general public on Saturday and Sunday, September 22 and 23. PlayStation events are scheduled to kick off on September 19 at 6 p.m. PST. Sega events are scheduled for September 19 starting at 6 p.m. PST. Square Enix events will begin on September 19 at 6:30 p.m. PST. Konami events are scheduled for September 21 starting at 12:30 a.m. PST. Capcom events are slated for September 21 starting at 4 a.m. PST. General public tickets for the Tokyo Game Show 2018 are still available for advance purchase, and will cost 1,000 yen or $8.91 USD including tax for a single-day pass. Advance tickets can be purchased through the TGS 2018 Event Regist website. Alternatively, attendees can purchase On the Day tickets, which sell for 1,200 yen or $10.69 USD, through Day Ticket boxes which can be found on-site at the Makuhari Messe. Which games we will see at TGS 2018? Industry events and expositions are great for new game reveals, but they're also the perfect place to unveils fresh news about recent releases. Toward that front, and with consideration to the timing of upcoming 2018 releases, we have a few ideas on what fans can expect to see shown off at the Tokyo Game Show 2018. Capcom will be showing off Mega Man 11, Devil May Cry 5, and more of the upcoming Resident Evil 2 remake. Sega has confirmed that fans can expect to learn more about Team Sonic Racing, Valkyria Chronicles 4, Phantasy Star Online 2, and Shenmue 1 and 2. Konami be dropping details surrounding Pro Evolution Soccer 2019, Super Bomberman R, and Hyper Sports R. Square Enix will be doubling down on RPGs by showcasing more of Final Fantasy 14, Final Fantasy: Crystal Chronicles Remastered, The Last Remnant Remastered, and Left Alive. Finally, PlayStation will be showing off a number of huge titles including Death Stranding, Sekiro: Shadows Die Twice, Kingdom Hearts 3, Dreams, and Days Gone. Of course, this is by no means a complete list — more information on all the games being shown off this year can be found at the Tokyo Game Show 2018 website. There's a whole lot of games that fans can expect to see at this year's Tokyo Game Show, but we've sorted through the mix to find a few special highlights that are worth looking out for. Here are our choices for featured Tokyo Game Show 2018 events. Do note that all times are presented in the local Japanese Standard Time, which is a full 16 hours ahead of Pacific Standard Time. As such, events occuring at 12 noon in Japan on Saturday correspond to 8 p.m. PST on Friday in the United States. Catherine: Full Body special stage (Sega) - 11:40 a.m. to 12:20 p.m.
Phantasy Star Online 2 x Monster Hunter Frontier-Z collaboration (Sega) - 2:30 to 3:10 p.m.
Days Gone developer demonstration (PlayStation) - 4 to 4:40 p.m.
Resident Evil 2 overview (PlayStation) - 11 to 11:40 a.m.
Mega Man 11 special stage and studio talk part one (Capcom) - 11:15 a.m. to 12:15 p.m. Team Sonic Racing introduction (Sega) - 12 noon to 12:30 p.m.
Devil May Cry 5 special stage and studio talk (Capcom) - 12:25 to 1:30 p.m.
Resident Evil 2 special stage and studio talk (Capcom) - 1:15 to 2:30 p.m.
Sekiro: Shadows Die Twice demonstration (PlayStation) - 4:10 to 4:50 p.m.
Shenmue 1 and 2 discussion (Sega) - 11 to 11:30 a.m.
Kingdom Hearts 3 introduction (PlayStation) - 1 to 1:40 p.m.
Dead or Alive 6 exhibition match (Koei Tecmo) - 2 to 2:45 p.m.
Persona Q2: New Cinema Labyrinth special talk show (Sega) - 2:30 to 3 p.m.
Death Stranding introduction with Hideo Kojima (PlayStation) - 3:30 to 4:40 p.m.
Yakuza Online special stage (Sega) - 12:15 to 12:45 p.m.
Street Fighter 30th Anniversary Collection special stage (Capcom) - 1:10 to 1:50 p.m.
Dynasty Warriors: Unleashed special stage (Koei Tecmo) - 1:30 to 2 p.m.
Project Judge introduction (Sega) - 2 to 2:45 p.m.
Dead or Alive 6 special tournament (Koei Tecmo) - 4 p.m. to 4:45 p.m.
With the Tokyo Game Show 2018 dates, times, and events in mind, game fans can plan ahead for all their TGS streaming needs. Shacknews itself will be on-site in Tokyo ready to report on all the biggest reveals, so be sure to keep it tuned right here for all the latest highlights straight from the showroom floor.